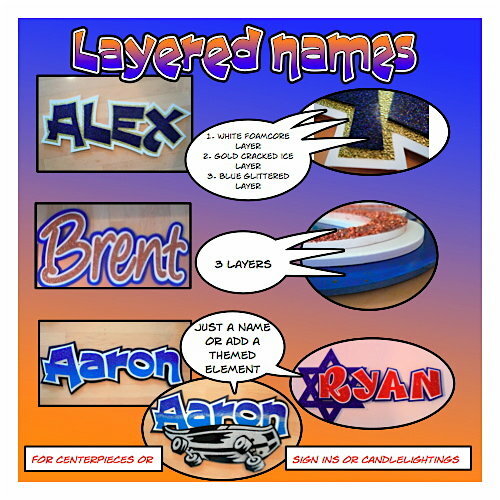 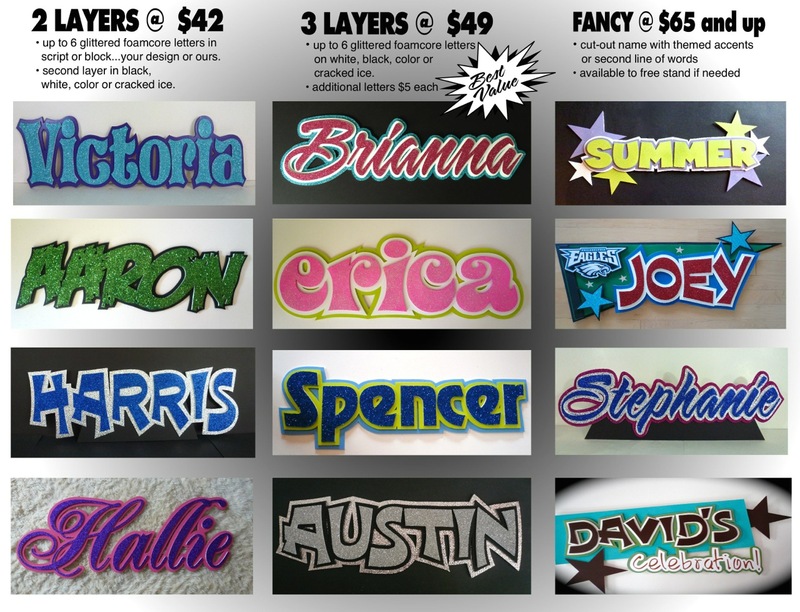 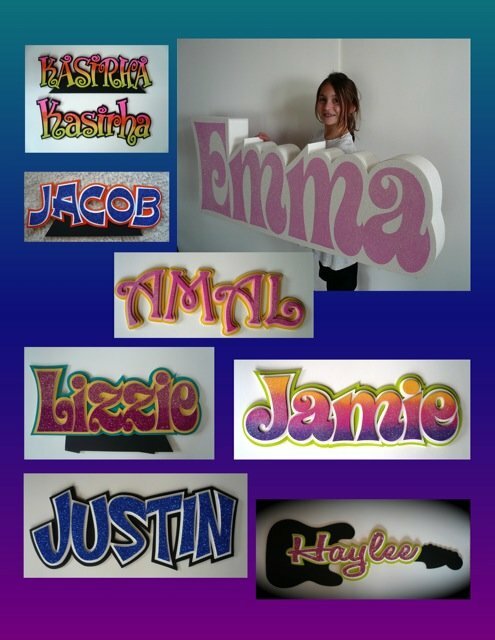 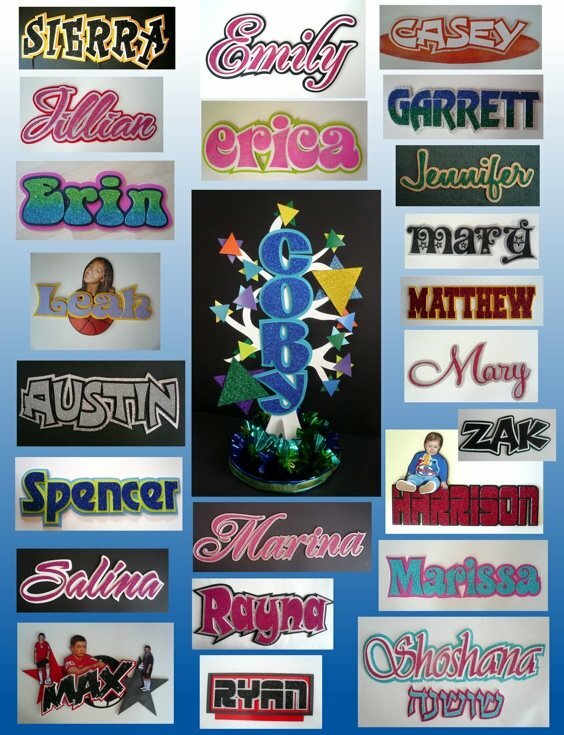 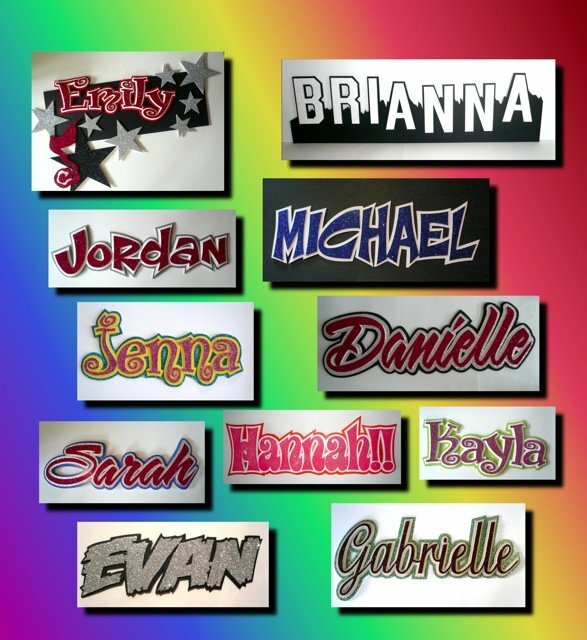 Cutout foamcore names work great for sign in boards, candlelightings, dj signs and centerpieces. 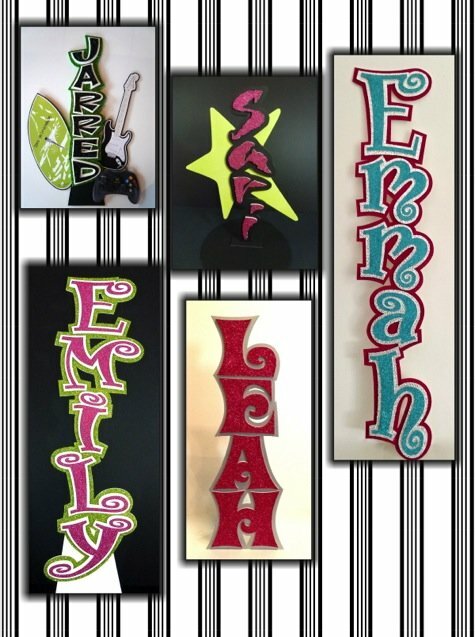 Here's some recent new ones. 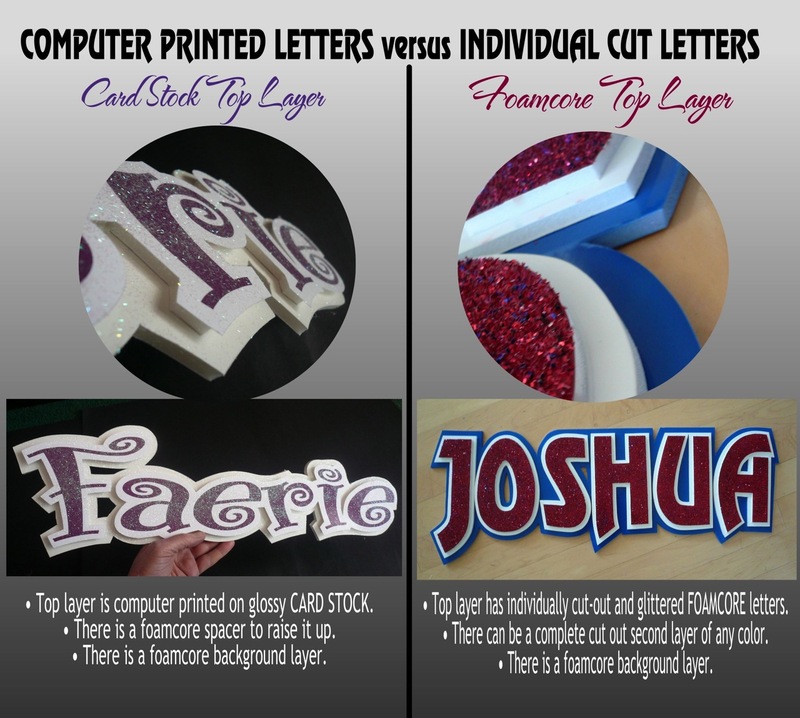 View the difference between computer letters (less expensive) and cut out and layered names. 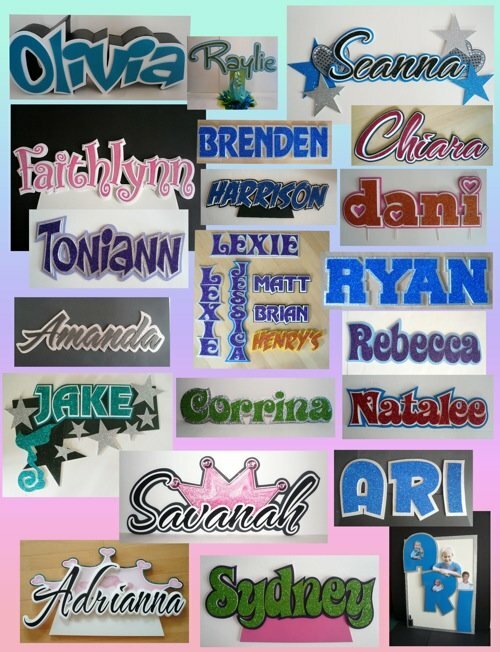 30" Cut Out Names is the most common size. 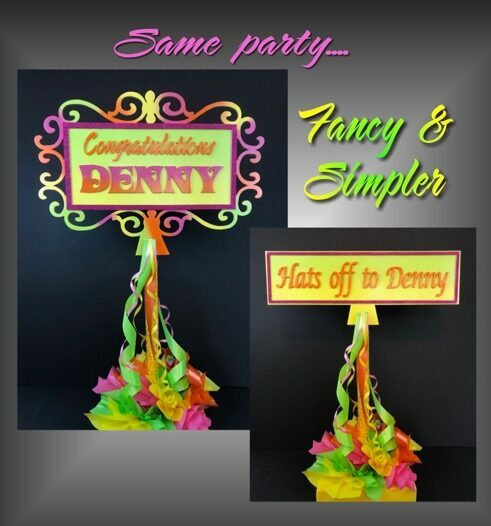 It's perfect for Sign In Boards or Candle Lightings on a 36" base. 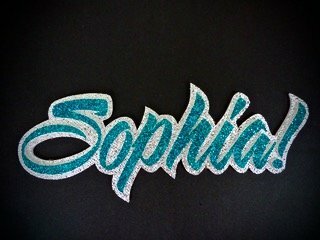 We use glitter mostly but sometimes cracked ice mylar foil either on the top layer or bottom layer. 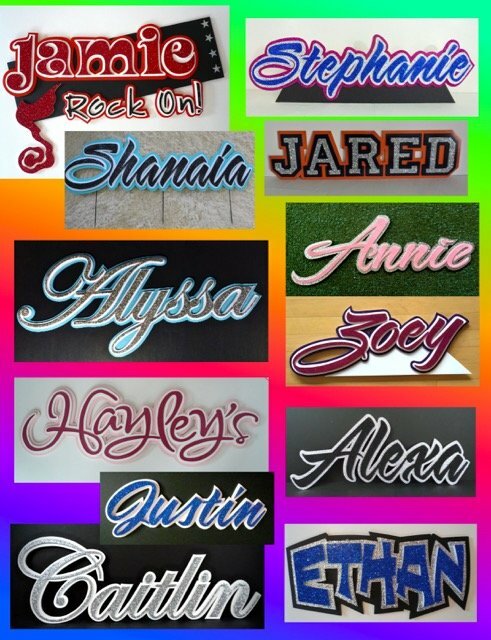 We can make them up to 8' for a DJ sign or much smaller for table centerpieces. 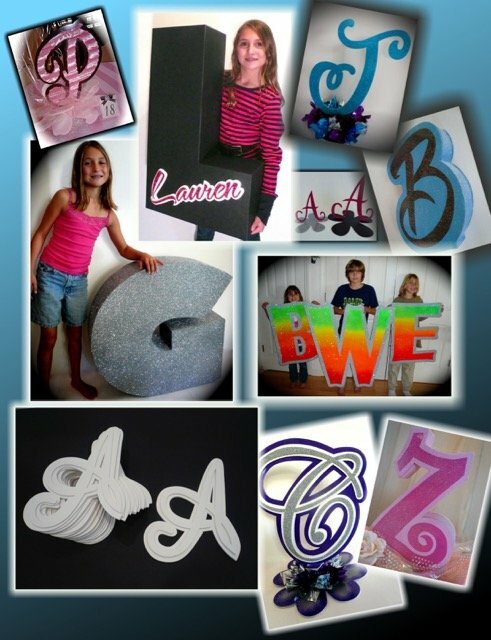 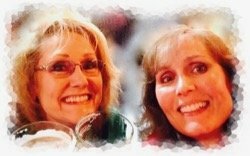 We can make them vertical or horizontal. 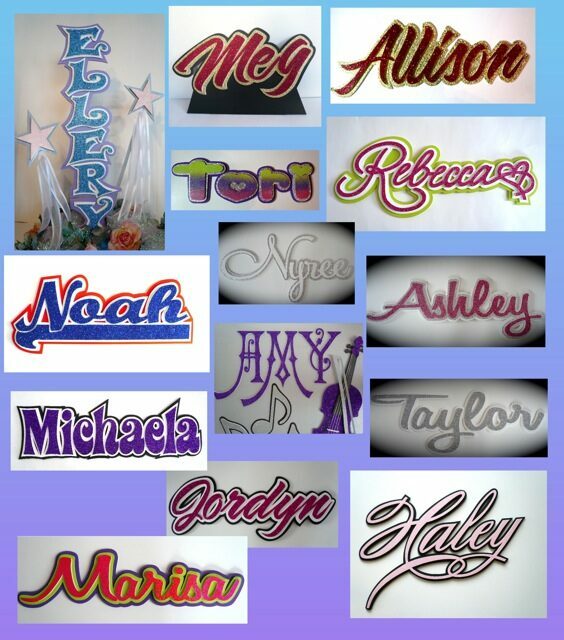 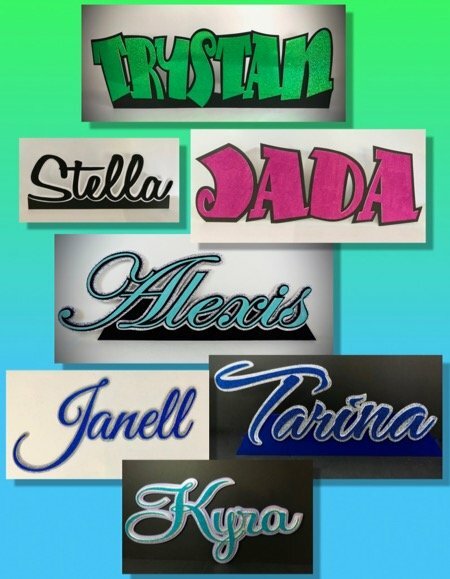 We can make any font or match your party logo. 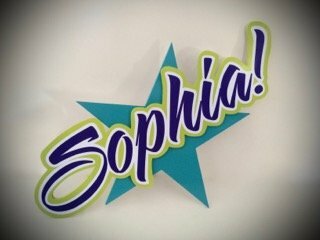 with a back support like Stephanie's or Zoey's? 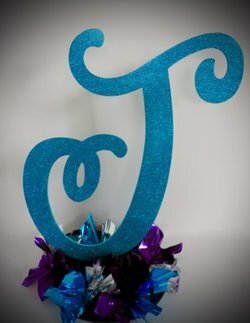 We can even do initials. We can do them flat and layered or 3D and boxed in. 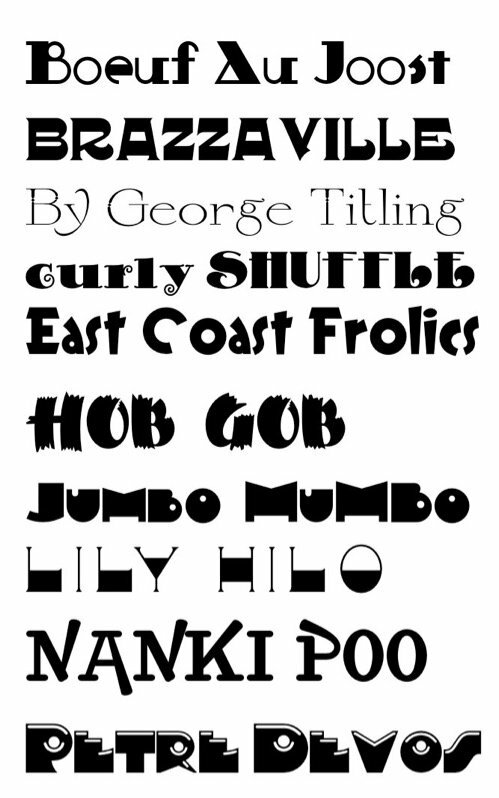 Here's some of our most favorite fonts and some new ones for 2017.